Sauna is originally used in Finland, about 2000 years ago. It had some similarities with the today sauna, but the main difference is that it was placed underground. The oldest writing in the world which is founded about saunas dates in the year 1112. 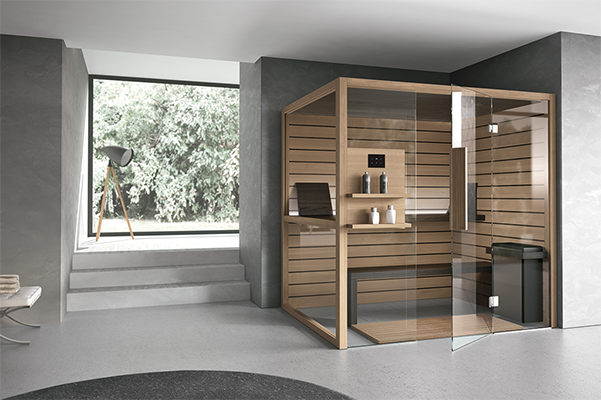 The modern sauna is a wooden room of relatively small dimensions, which offers an environment of strong and dry heat at a temperature of approximately 90˚C. In general, the lighting in a sauna room is dark. Heating is provided by a stove or heater that heats some volcanic stones to provide a gentle heat. This heat does not give much air to the sauna environment and therefore water is poured over the stones to increase the level of humidity. 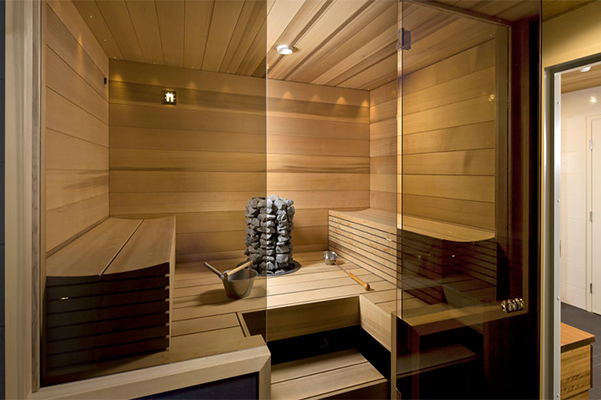 Treatment in the sauna is usually divided into sessions, the person passes a short time in the sauna until he starts sweating and then goes out to freshen up. What is Sauna used for? A sauna session is effective in relieving the toxins of the body as well as cleansing the skin, making it soft and healthy. 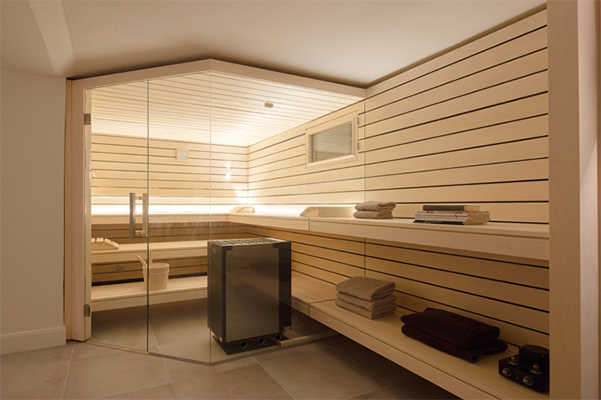 Sauna increases and improves blood circulation and breathing. If the capillary vessels are opened in the heat, cold is contracted for reaction, so blood circulation is improved. 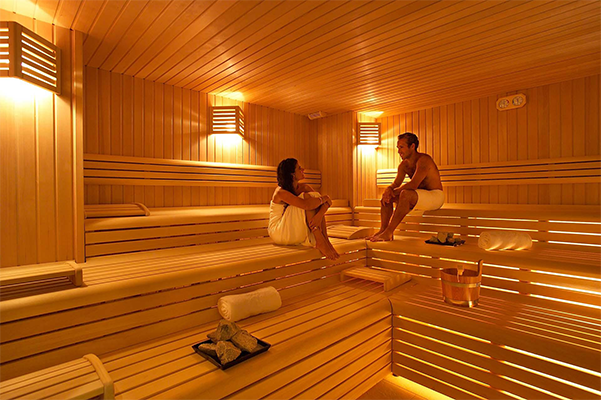 The heat and humidity of the sauna dissolves the pain and relieves the tired muscles. Sauna is also effective for arthritis pain. Regular treatment combined with a healthy diet and exercise helps in weight loss and fights cellulite. It is advisable to frequent water consumption after and before the sauna session as there is a risk of dehydration. 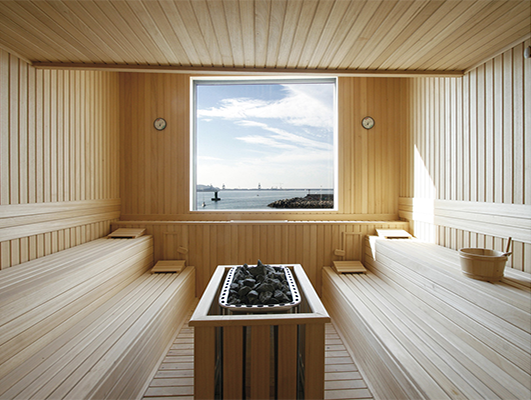 The sauna also gives relief from asthma and bronchitis and can prevent the cold. It is recommended to attend up to three times a week. If you are more frequent, the effect may be the opposite. 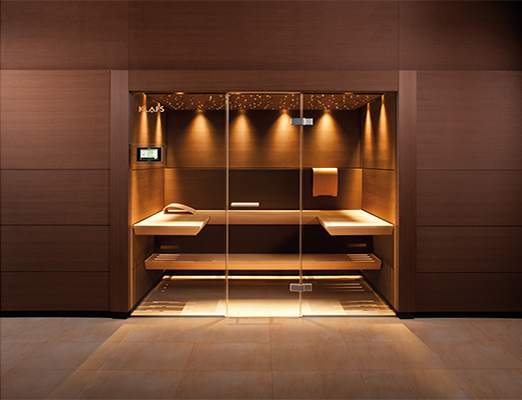 HAVING A SAUNA IN YOUR HOTEL & RESORT, IT RAISES THE VALUES OF YOUR ENVIRONMENT. PISHINA & WELLNESS is specialized in the construction and fitting sector for pools, sauna, turkish bath, Jacuzzi, Salt Room (Halo therapy), Kneipp way, Fountains, hydro massage, etc.